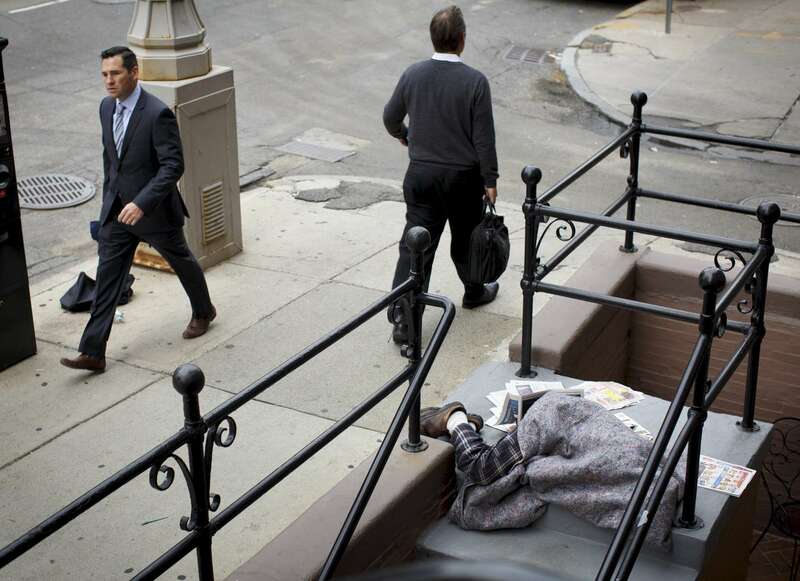 10/1/2015 - Boston, MA - Back Bay - Passersby rush past a homeless person sleeping on the steps of a Berkely Street business on Thursday morning, October 1, 2015. As concern about the city's chronic homeless population grows, business groups and other agencies are coordinating with the city to address the issue. Topic: 01homeless. Story by Katie Johnston/Globe Staff. Dina Rudick/Globe Staff.